As part of Kellenberg Memorial’s STEM Cluster, students have opportunities throughout the academic year to attend lectures presented by professionals who work in various fields of the Science, Technology, Engineering, and Math industries. On September 19th, Caitlin (Schechter) Harris, FNP-BC, MSN ’03 served as the first lecturer of this year’s STEM Talk Series. Caitlin shared her expertise in the nursing field and informed the many students gathered about the wide variety of employment opportunities offered within the field. She also clearly illustrated the most appropriate educational paths students interested in nursing should take and discussed how to seek out opportunities for scholarships. Caitlin holds a Bachelor of Science degree in Biology and Nursing from Boston College and Pace University, respectively. She also holds a Master of Science degree in Nursing from Molloy College. Currently, she works for Northwell Health Solutions as a Nurse Practitioner on the Transitional Care Management Team based out of Southside Hospital. 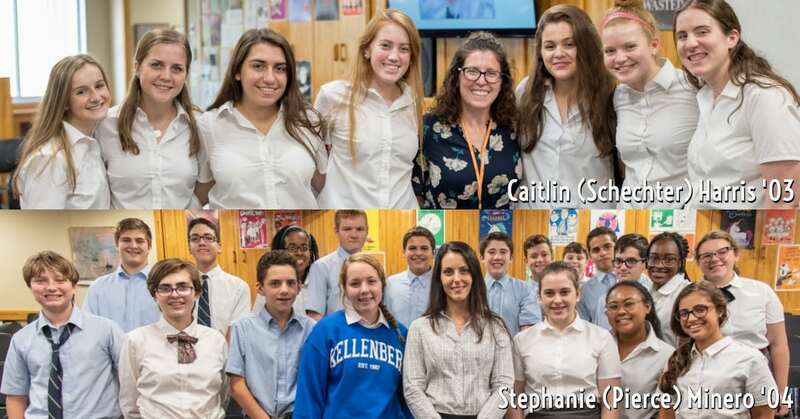 On September 26th, Stephanie (Pierce) Minero ’04 spoke to a packed room of students regarding her career as a Forensic Scientist II at the Nassau County Medical Examiner’s Office. She explained the steps involved in DNA analysis, including the first step of evidence collection, followed by DNA extraction and amplification. Stephanie also explained the chemical techniques involved in the analysis of controlled substances, and the laboratory instrumentation used to identify them. In addition to her work at the Medical Examiner’s Office, Stephanie serves as a Corporate Liaison for the Northeastern Association of Forensic Scientists. She also recently served as an adjunct professor at LIU Post. Stephanie holds a Bachelor of Science degree in Forensic Science and Chemistry from LIU Post, as well as a Master of Science degree in Biology from LIU Post.